Highlights include a broad range of teaching and learning features designed to help the student learn and the teacher teach. These include: Focus Points, Colour Illustrations, Activity Boxes, Research Methods, Case Histories, Self-Test and Essay Questions, Learning Outcomes and Section Summaries, a Glossary as well as Links to Journal Articles and Further Reading. Graham Davey is Professor of Psychology at the University of Sussex. He has published more than 130 articles in scientific and professional journals and written or edited 14 books. 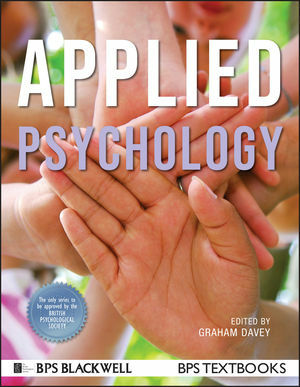 1.1 What Is Applied Psychology? 2.1 How Does Clinical Psychology Affect You? 2.2 Who are Clinical Psychologists? CHAPTER 7 What Is Health Psychology? 8.3 What Happens When You Experience Stress? 11.1 What Do Professional Health Psychologists Do? 12.1 What Do Forensic Psychologists Do? 17.1 What is Educational Psychology? 27.1 Who are the Clients?